DiaDev asks critical questions about the role of diagnostic devices in global health across four interconnected thematic strands. Point-of-care diagnostic devices offer unprecedented opportunities for saving lives and improving surveillance in emerging disease outbreaks. But public health emergencies also pose distinct social, ethical and technical problems for the development, regulation, and use of diagnostic devices. In Sierra Leone, the study is focused on the challenges and opportunities presented by diagnostic devices in a time of intensive epidemic preparedness and laboratory strengthening. 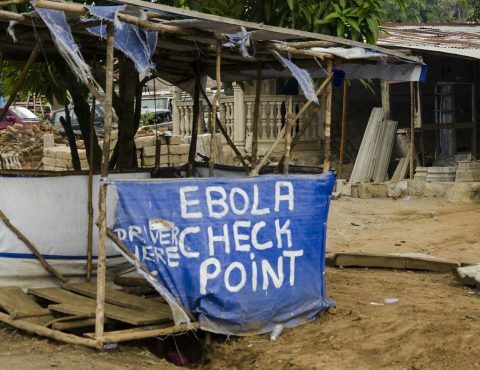 The 2014 Ebola Virus Disease (EBV) outbreak in West Africa threw the limitations of Sierra Leone’s laboratory infrastructure into sharp relief and mobilized international efforts to develop and deploy new EBV diagnostic tools and laboratory systems within an emergency timeframe. Since the end of the outbreak, the scope of laboratory strengthening and diagnostic preparedness efforts have expanded beyond EBV to encompass diagnostics for infectious diseases, non-communicable diseases and anti-microbial resistance. This project examines the legacy of the diagnostic interventions that were deployed during the 2014-2016 outbreak, how current local and international efforts to strengthen laboratory infrastructure in Sierra Leone are transforming the health system, how these changes are experienced and perceived by policy makers, laboratory workers, health workers and patients, and what a sustainable and appropriate national laboratory system might look like in the aftermath of an emergency and context of intensive outbreak preparedness. How do point-of-care devices transform primary health care and integrate with everyday health systems over the longer term? 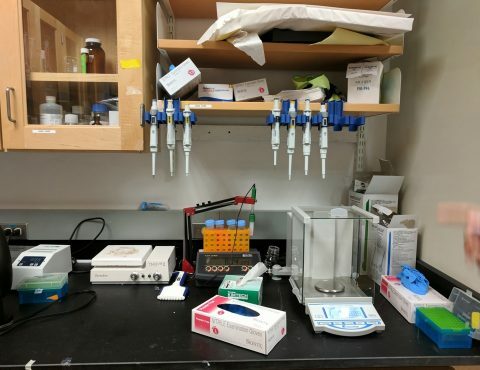 In South India, where rapid diagnostic tests for malaria and dengue have been in circulation for several years, research will focus on the long-term effects of point of care diagnostic devices on the delivery of health services to hard-to-reach tribal communities. Improving the health of tribal communities in rural Telangana is a major priority for the State Government. However, government efforts to extend basic health services to tribal communities in Telangana face numerous challenges, including issues of infrastructure, community trust, a plural health system and a diverse mix of private and informal providers that are difficult to regulate. The lack of laboratory and diagnostic services in rural areas has long compounded these issues, complicating clinical management for illnesses that cannot be diagnosed empirically, leading to uncertainty over the reliability of available health data, undermining community trust in the public health system, and making it difficult to plan effective disease control programmes in the area. This situation has changed in recent years with the introduction of rapid diagnostic tests for malaria and dengue, and these are now widely used by community health workers in rural districts. However, the use of RDTs in both the public and private sectors, and the lack of regulation over the quality of tests and testing processes means RDTs have not always succeeded in eliminating uncertainty. The DiaDev project will map current primary care diagnostic infrastructure in Adilibad District, Telangana, explore community and health worker responses to and engagements with diagnostic technologies, and seek to establish community and health worker’s priorities for rural laboratory strengthening in the District. The research will focus on the role of diagnostic technologies in clinical management and surveillance activities associated with fever-based diseases. Point-of-care diagnostic devices have the potential to transform the disease surveillance landscape and are widely considered vital for the final stages of disease elimination programmes. But the development and deployment of diagnostic devices for the purpose of disease elimination also poses multiple challenges in relation to investment, innovation, community acceptability and connectivity. The field of global health diagnostics is emerging rapidly, and the public health, medical, and economic opportunities that accompany diagnostic development and deployment are swiftly proliferating beyond the context of care. 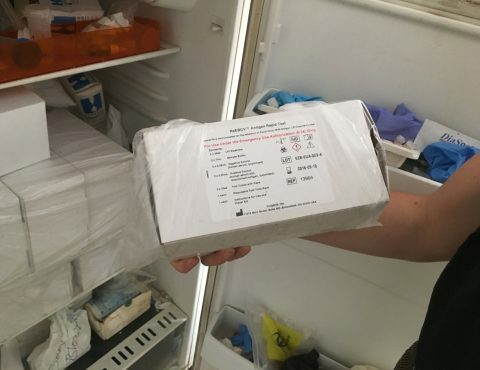 As disease control programmes lower prevalence rates, public health experts and funders are increasingly calling for diagnostic devices that can establish whether elimination has been achieved or to monitor the effectiveness of donor-supported disease elimination programmes. Point-of-care diagnostic devices offer new opportunities for case-finding in the final stages of elimination campaigns and real-time population-level screening in potential post-elimination contexts. In the context of disease elimination, however, diagnostic devices test populations rather than individuals and diagnosis is decoupled from treatment, with potentially significant implications for the fragile social contracts that often embed health technologies in local health systems. This strand of the DiaDev project will focus on the changing role of diagnostics within elimination agendas, and the distinct challenges that this poses to product development and deployment. Following these developments and the changing meanings and expectations of diagnosis means looking beyond the context of care, to the multiple ways in which diagnostic devices are deployed as data devices and how diagnostic data is reshaping the priorities and relationships of global public health. 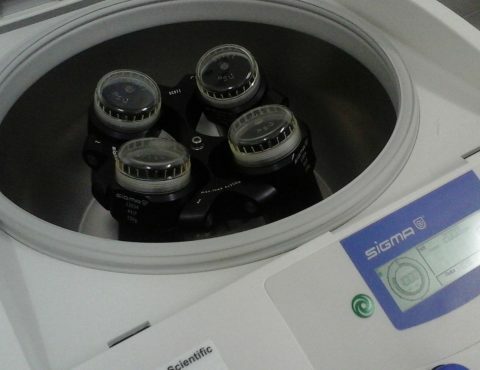 Investments in laboratory capacity building in low and middle income countries usually translates into investments in bench-top or point-of-care devices. This device-focused global health agenda entails multiple challenges for innovation, financing, multi-stakeholder collaborations and global health partnerships. The introduction of lateral-flow immunoassay technology for rapid diagnostic testing in the late 1990s generated new expectations around diagnostic innovation and narrowed the focus of laboratory capacity building efforts from improving infrastructure to the development of new point-of-care diagnostic devices. With this focus on devices, work to improve the diagnosis of treatable diseases in resource-limited settings has become increasingly concomitant with the work of stimulating markets for global health. It is now widely accepted in the global health community that any improvements in diagnostic capacity in low and middle income countries will depend on new forms of partnerships between public and private and commercial sectors. But success stories in the development and deployment of point-of-care diagnostic devices for a global health market are few and far between. This strand of the DiaDev project follows the stories of several diagnostic start-ups as they seek to commercialise their products in a bid to ‘do well by doing good’. It explores the challenges they encounter in technical development, design, attracting investment, gaining regulatory approval, generating evidence of efficacy, and deployment and distribution. The struggle to establish a viable global health diagnostics market lays bare the complexities of multi-stakeholder collaboration and the difficulties of meeting the multiple expectations that different global health actors have of specific diagnostic devices. This strand cuts across the three case studies of emergency, integration and elimination to ask what and who diagnostics are designed for, and to explore alternative models for improving diagnostic capacity and strengthening health systems.